As far back as I can remember, I have felt deep concern and care for others: people, animals, plants and insects; the wellbeing of the Earth and all her inhabitants. 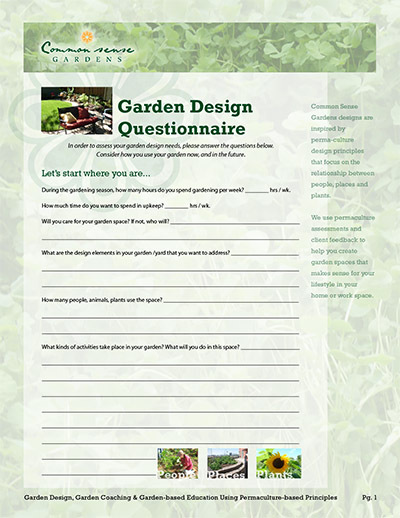 My journey to becoming a permaculture landscape intern with Common Sense Gardens has had a circuitous route, but I feel that every step along the way has contained a common thread. In my college years, I pursued a degree in Environmental Studies out of deep concern about the dangers of climate change. As an idealistic twenty-something year old, I wanted to help save the Earth from the ravages of man-made, impending disaster. I spent a lot of energy trying to show people how our lifestyle choices were leading us down a path to destruction and being saddened by most people’s lack of concern or interest in changing to a more sustainable life. I eventually realized that I was approaching this from a place of negativity, that what I needed to focus on, was ways to contribute to a better society in my own life. In knowing that “a better world is possible,” I realized that I need to be part of the solution instead. In the more than 15 years since then, I have enjoyed working in India, Trinidad and the US on a variety of projects including community organizing, reforestation projects, tribal community forest management, ancestral life-skills, home gardening and eventually found my way to becoming a naturopathic doctor. My decision to become a naturopath was also based on deep care, as a projected solution to lack of preventative healthcare and for helping people deal with the growing toxicity of our world. As I practiced as a physician for several years, I became frustrated with the medical system and the inaccessibility of this type of “luxury” healthcare that often involved expensive protocols of supplements and testing. I felt like it was out of reach for the people I wanted to serve and those most in need. I wanted to find a way for people to have more direct access to health. As I took time away from my practice to reassess my particular way of service to community, I reconnected with the joy of “Earthing.” Connecting to the soil, the Earth, Nature- our very foundations of life as human animals. I could talk about all the health benefits of connecting with nature by gardening- the fresh vegetables and fruit that become bounteous, the whole body effects of beneficial bacteria in soil, the essential vitamin D of being in sunlight, the much needed movement of our bodies, the daily joys of seeing your little baby plants grow into beings that nourish us with food, the reconnecting with the changing seasons as an essential part of our own cycles… the benefits are endless! And then there is permaculture. I am new to the specifics of permaculture as a practice, but as a concept, it has been within me all along. It is a way to relate to the world as a whole system. 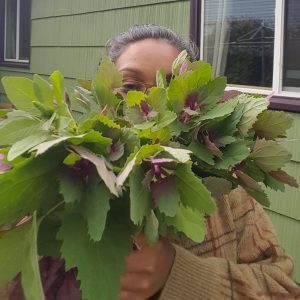 I find myself coming full circle as I explore permaculture, finding my way back to environmental activism through advocating for backyard gardens- to mitigate climate change, to improve pollinator habitat, to being a part of a solution, at the intersection of many issues: environmental justice, climate change, building community resilience, regenerating soil and of course, healthy food access. Knowing the ways my path has never been straightforward, I don’t know what the future holds specifically. But I see permaculture as a way of life that will always be with me, in whatever ways I choose to express my love and service to the beings around me. 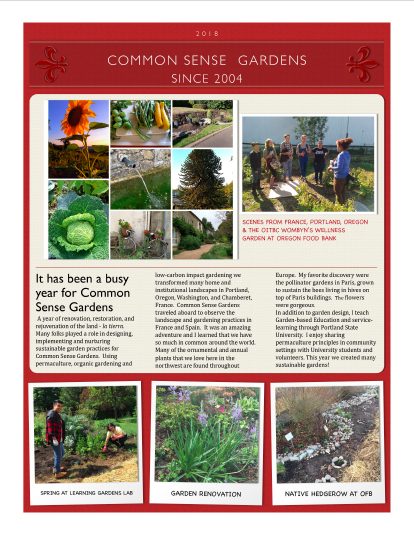 I am thrilled to be working with Common Sense Gardens on this journey.